Situated on Interstate 91 just south of the Canadian border, this Land Port of Entry is a gateway for those entering the United States from Quebec, welcoming visitors while also providing state-of the art screening and security systems. 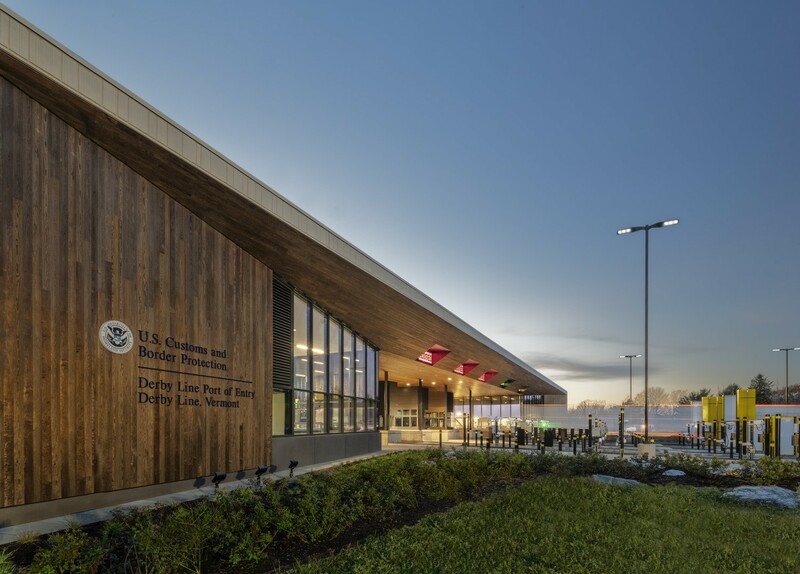 Working with the General Services Administration (GSA) and Customs and Border Protection (CBP), we identified specific expectations for the project, including balancing programmatic and operational needs with safety security and safety; energy and environmental performance requirements, including LEED-Gold certification; and a dignified presence, exemplifying the GSA Design Excellence program. Our solution is a one-story, 30,000-SF facility that straddles the interstate and serves commercial, personal, and bus traffic. Spaces include inspection booths, visitor lobbies, interior inspection areas, and exterior canopy space. Landscaped areas flank the building approach to the west; dense plantings and boulders from local quarries soften the visitor experience while providing discreet crash protection. Storm water retention areas support sustainable design strategies and vegetation to attract bee pollination. 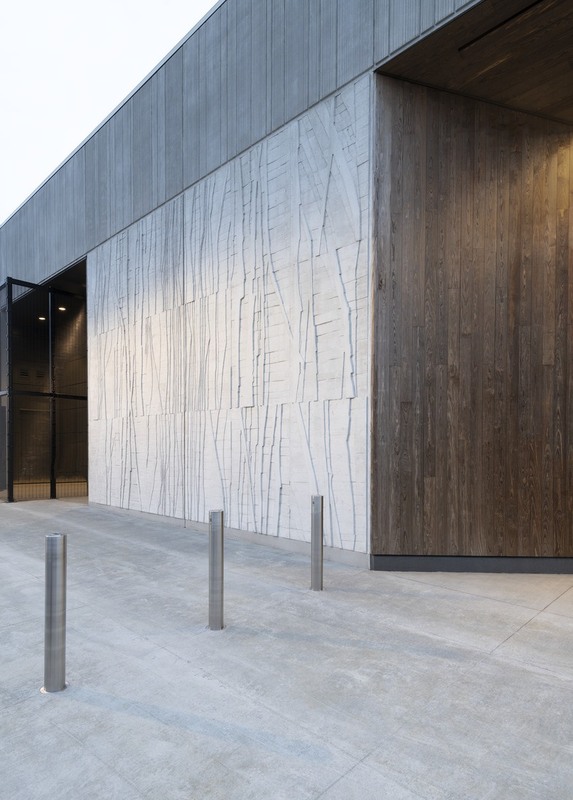 Inspired by local vernacular architecture and Vermont stone quarries, the building design features wooden portals inset into precast concrete walls striated by vertical reveals. Wooden portals are placed at each public access point for both vehicles and pedestrians: the main arrival from Canada, bus passenger entrance, and the Trusted Travel service office. GSA’s commitment to long-term durability was supported through the use of sustainably preserved wood—which will patina to a silver-gray over time—recalling local barns and covered bridges. Embedded into the welcoming architecture are extensive security measures including bullet resistant glass and various vehicular scanning systems. In order to allow for continuous operation of the Port throughout construction, our team outlined a comprehensive phasing plan allowing continuous 24/7 operations. Communication was equally important. The local community, concerned about the impact of the project, was kept informed throughout the process with town hall meetings; in attendance were representatives from the GSA, Vermont DOT and State Legislature, and HGA.